With a highly-qualified team of facilitators, the DiversityFIRST™ Certification Program blends theory and practice during a 5-day intensive curriculum focusing on the business case for diversity and inclusion, cultural competence, measurement and accountability, inclusive leadership, and best practices. Ongoing professional development follows through the online DiversityFIRST™ Graduate Network. Graduates of the program are recognized as a National Diversity Council Certified Diversity Professional (NDCCDP). 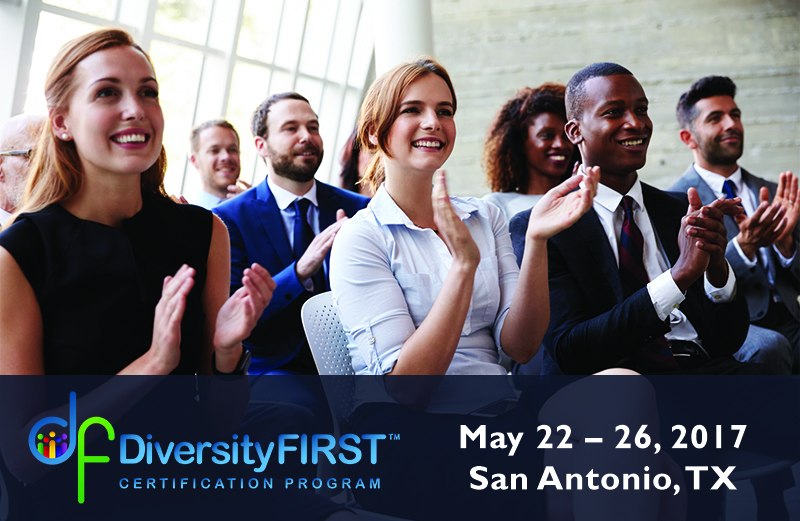 To register for the San Antonio DiversityFIRST™ Certification Program, please visit www.diversitycertificationprogram.org. For additional information and questions, please contact Cecilia Orellana-Rojas at cecilia.orellana-rojas@nationaldiversitycouncil.org or Dejoron Thorpe at dejoron.thorpe@nationaldiversitycouncil.org. More information about the National Diversity Council available at www.nationaldiversitycouncil.org.